The best pictures of Hadrian’s Wall depict Britain’s most famous Roman monument at the height of its significance. 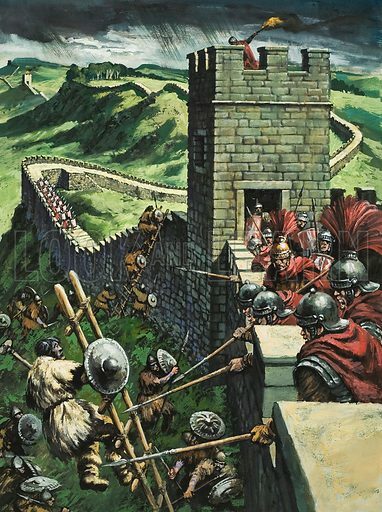 The first picture of Hadrian’s Wall shows Roman soldiers in action defending Britain against the Picts and Scots. 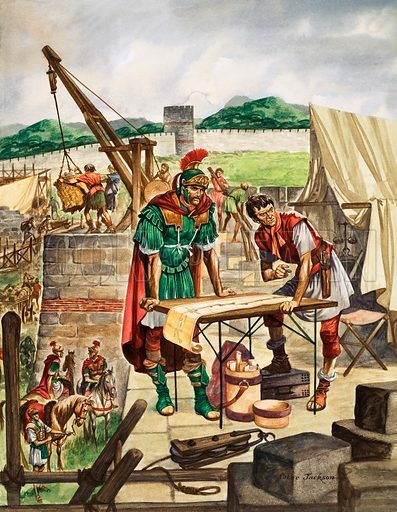 The second picture of Hadrian’s Wall shows the Emperor Hadrian assessing the progress during the building works. 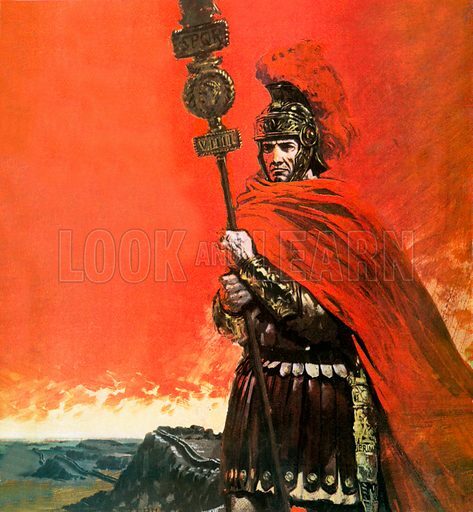 The third picture of Hadrian’s Wall shows a Roman legionary carrying the Standard of the lost Ninth Legion as the wall stretches behind him into the distance. Many more pictures of Hadrian’s Wall can be found at the Look and Learn picture library.